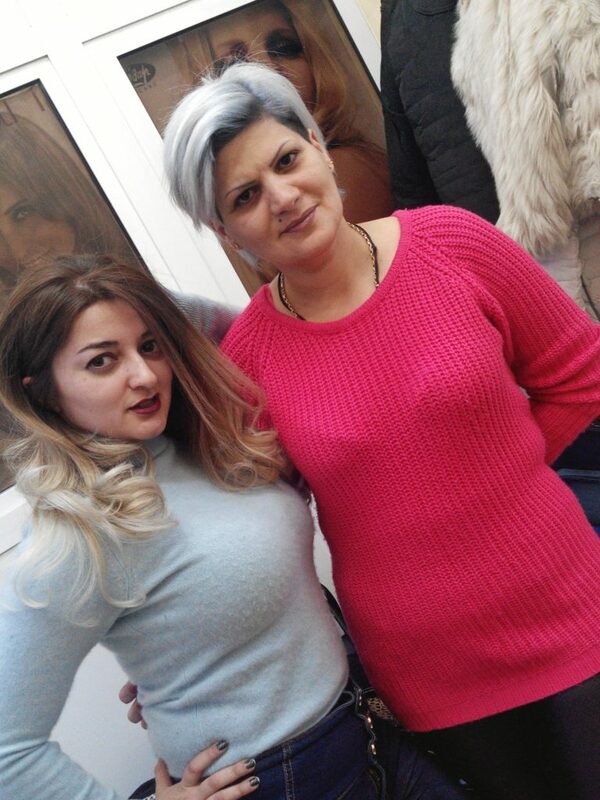 Always loyal to my dear Syuzi who has now been doing my hair for almost 3 years, I did not lose the chance to take another appointment with her when I was staying for a short week during New Year holidays in Armenia. Going from brunette to blonde can be a high challenge and a big change for certain girls. Either you have to be hundred percent sure of what you want and go ahead with your determined idea of going blonde or you have to do it step by step like I do. You must be also aware that this might cause damage to your hair so a lot of precautions must be taken. But the very important of all is the person who you trust your precious hair to. So before making such a big change just make sure that your hairdresser understands what you want, is experienced enough and that you have a good feeling with him/her. This way every time I go blonder but it’s not shocking, on the contrary, I like the new me and look forward to see what is Syuzi going to do with my hair next time! Well, normally I must be going back for my brother’s wedding this summer or early autumn so I have enough time to enjoy my new haircut and to find a new look to prepare!